On the ride home from bringing our second son home from camp I told him that the neighbors were holding a yard sale with some of our things and he’d probably see toys he recognized. These were toys that hadn’t been used in awhile. Truth be told I’m surprised and disappointed to see how much stuff we have sitting around the house that hasn’t been used in awhile. But anyway, I stood in the kitchen when he raced in with a little panic in his voice. “Mom! You didn’t tell me you were selling the pictures! Did you sell the pictures above the piano? I liked those pictures!” I didn’t think he’d notice, but I should have known. He is my observer. Not much escapes his attention. He’s the one who stops us to look at the sunset or the beautiful view on a drive. He notices the tiny grasshopper silently perched on a twig. And he’s the one who noticed the pictures were gone. Up until now moving has been a fun idea, but an abstract idea for the kids. As the abstract begins to turn into reality I expect there to be more times that the kids feel the loss of a move. That Nathan and I feel the loss. This is the only home most of our children remember. The only home that some have ever known. 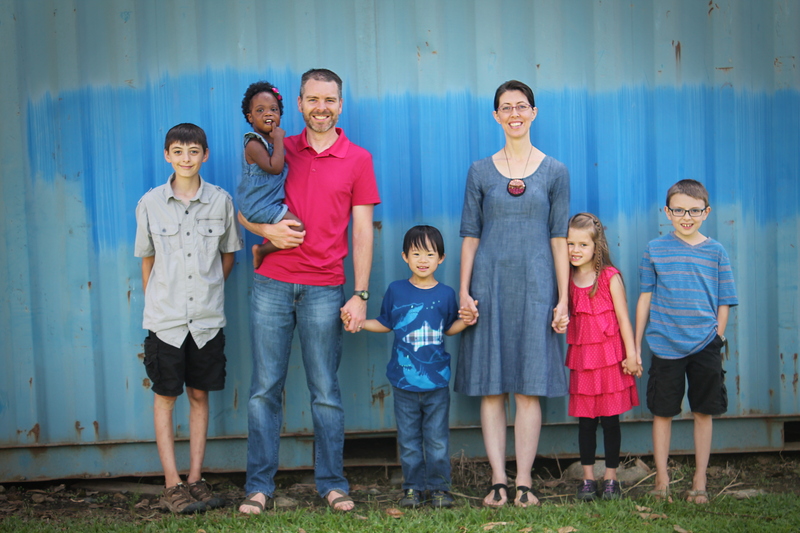 There is still much excitement as we prepare to go, but we would appreciate your prayers as we head full-on into the transition of moving and the losses, both big and small, that accompany such a change. It’s March and I’m standing in front of the sink getting ready to brush my teeth before bed when Nathan walks in. “How much do we owe on our loans?” he asks. We’ve been trying to save all we can on living expenses, so we can pay all we can on student loans. Our goal at medical school graduation was to have all the school loans paid off in 10 years. There were several large purchases that we considered which would have derailed that plan, but when we prayed about them first we knew God wanted us to stay focused on paying off the loans. I tell him how much we owe and he hands me a slip of paper. On it is the the amount of our tax return. Exactly the amount we owe for student loans with enough left over to pay the fee for preparing our taxes. The last of the loan was paid off 10 years to the month of medical school graduation. We will now be able to move to PNG debt free!